Starting today, The Sche Report is going back to its roots, which is spot-on trend forecasting! I originally started this site when I saw a lack of informative and trend driven fashion blogs available. And as a result, I wanted to add to the “wardrobe driven” world of fashion blogging by sharing my instinctive insight on trends and overall industry developments. In today’s ever growing runway collections, the sheer amount of fashion is simply overwhelming to keep up with. Oftentimes after a whole season one might feel more lost than ever and not sure what the narrative of the season may be. For the Spring 2012 season, I will be reporting directional comprehensive design ideas in small capsules rather than in a “Top 10″ approach. This will allow for more trends to be covered in bite size moments. Here at The Sche Report, we have a record for nailing the trends months before any publications or blogs do, and this is something we take extreme pride in. The Spring runways presented a myriad of exciting wardrobe ideas worth looking forward to. 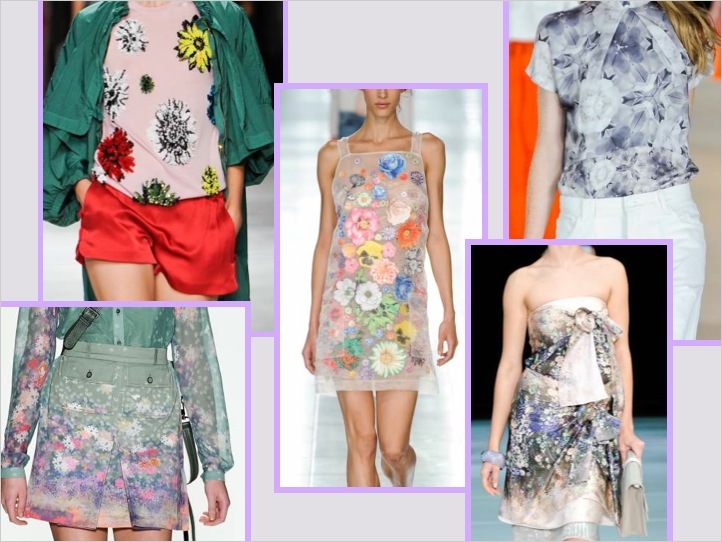 One major trend that you will for sure see next Spring is the emergence of Digital Florals. Florals in and of itself are nothing new when it comes to the Spring season. 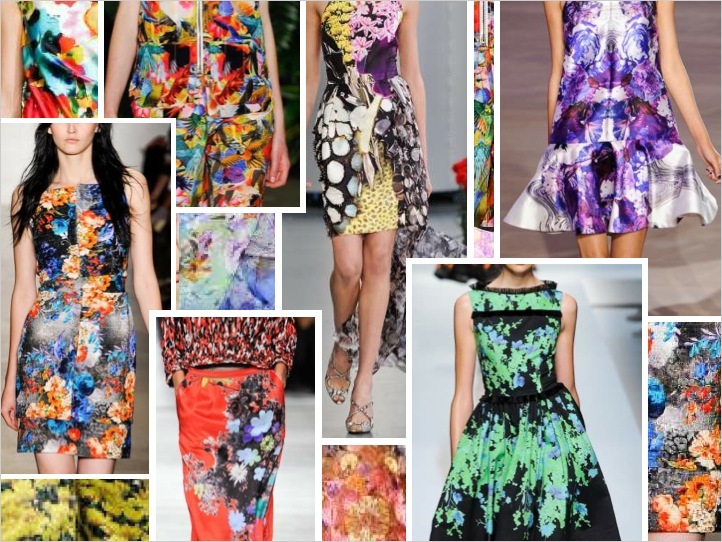 In the past, prints have been done in feminine and sometimes overly fussy manners but Spring 2012 has seen florals being ushered into the digital age. What used to be dainty is now bright, over -saturated, and statement making. Designers definitely forced us to see florals in a whole different light. The first major treatment of the new floral is over-saturation. Designers such as Prabal Gurung and Peter Som managed to manipulate and intensify pigments of the fabric enabling it to look extra lively and futuristic. By merging florals with digital prints as demonstrated in Mary Katrantzou‘s collection, or layered and mixed into complex collages as seen again with Prabal Gurung, florals gains a new complexity that add a whole new level of intricacies. The second major treatment is a more quaint but equally digitalized one. 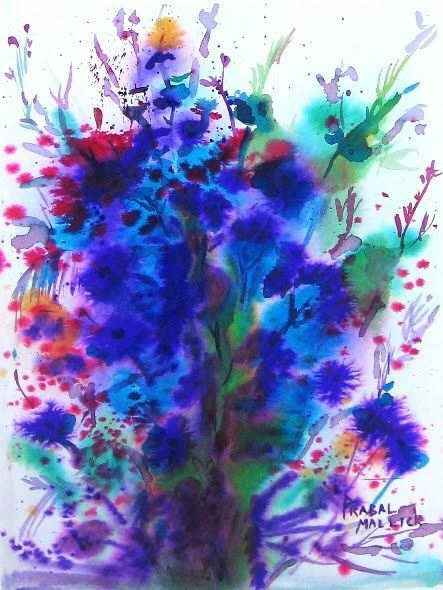 Instead of full on color, designers pumped up the whimsy of flowers by creating digital watercolor treatments. The result is ultra romantic florals that do not read dated or drab. For a slight variation, floral patterns made by grouping individual flowers highlighted it’s innocent qualities. The new floral has a cool techno edge that updates this classic Springtime motif. It’s the cool floral that girls who don’t usually wear florals will give a try. On the same note, digitalization will be a technique that can easily be translated to the contemporary market. So be ready to see other areas and ideas undergoing the same treatment to achieve the futuristic and energetic results.